The first blockbuster trade of the season surprised us all. After signing him to a five-year, $171-million contract this past offseason, the Los Angeles Clippers have decided to trade Blake Griffin to the Detroit Pistons for Tobias Harris, Avery Bradley, Boban Marjanovic, a first-round pick and 2019 second-round pick. Los Angeles will also send forwards Brice Johnson and Willie Reed to Detroit. The trade has been reported by ESPN's Adrian Wojnarowski. Wojnarowski also reported earlier today that the Pistons made Bradley available in trade talks, and it didn't take long for them to make a blockbuster trade with the Clippers. Story posting soon on ESPN: Detroit has made starting shooting guard Avery Bradley available in trade talks. Acquired in July trade with Celtics, Bradley will be a free agent this summer. Griffin has missed 16 games early this season with a left knee injury but in the 33 games he's played, Griffin is averaging 22.6 points, 7.9 rebounds, and 5.4 assists per game. He is shooting 44 percent from the field, which is his worst shooting percentage of his eight-year career. One thing to note is Griffin has battled knee as well as other injuries in the past so Detroit can only hope for Griffin to stay healthy. Over his career, he has played in 504 games out of a possible 607. Twenty-five-year-old Tobias Harris, an all-around small-forward, is averaging 18.1 points, 5.1 rebounds, and two assists per game in 48 games with the Pistons. He is shooting 45.1 percent from the field and a career-high 40.9 percent from three-point range. The Clippers have small-forward depth with the addition of Harris and will likely insert him into the starting lineup. Clippers' head coach Doc Rivers may choose to have forwards Wesley Johnson and Danilo Gallinari (when he is cleared to play as he is battling a strained glute injury) come off the bench. Avery Bradley, on the other hand, is a solid defender. He, in fact, will be traded twice in less than a year. Back in the offseason, the Boston Celtics sent the 27-year-old for to Detroit for forward Marcus Morris and didn't even spend half the season with the Pistons and is now on his way to Los Angeles. However, in the 40 games he played with Detroit, he averaged 15 points, 2.4 rebounds, and 2.1 assists on 31.7 minutes of action. The pesky defender is averaging 1.2 steals per game. On the down-side, Bradley is shooting 40.9 percent from the field, which is his worst shooting percentage since his rookie year, eight years ago. What's coming out of this trade? With this trade, the Clippers are getting young players at a reasonable price, and draft picks. According to Wojnarowski, the top-4 protected pick is a first-rounder in 2018, 2019, 2020, and unprotected in 2021. The trade also frees up cap space for the Clippers for them to acquire players in the offseason during this rebuilding stage. On Detroit's side, the duo of Griffin and Andre Drummond seems to pose fear but not until they can play well together and depending on how the Pistons will utilize them. Pistons also get Johnson and Reed in the deal, two young players who are still developing but have great potential to be solid backup forwards. 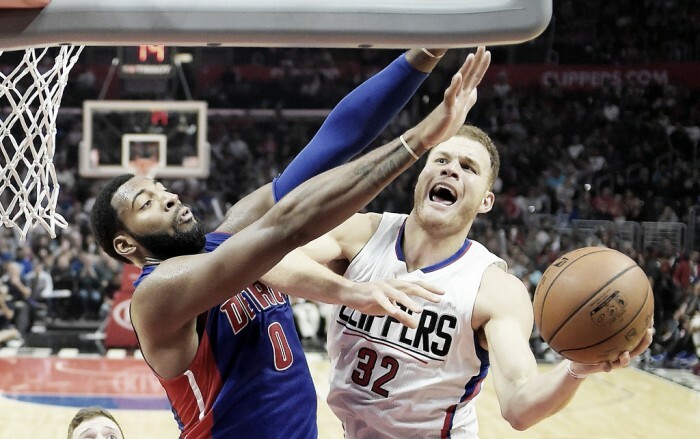 As we are past the halfway point of the season, both the Pistons and Clippers are out of the playoff picture. Detroit is currently on an eight-game losing streak and sit ninth in the Eastern Conference with a record of 22-26. The Clippers are 25-24 on the season and sit ninth in the Western Conference.